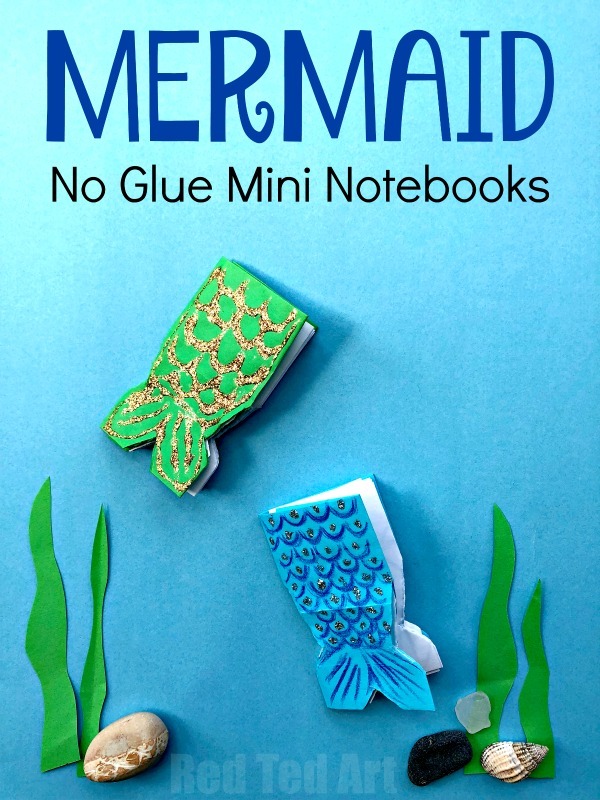 Looking for some Mermaid School Supplies, then how about these no glue Mermaid Mini Notebooks. 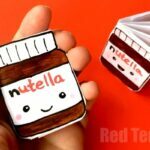 There is something irristible about making cute MINI Notebooks – a perfect little gift for a BFF when heading back to school! 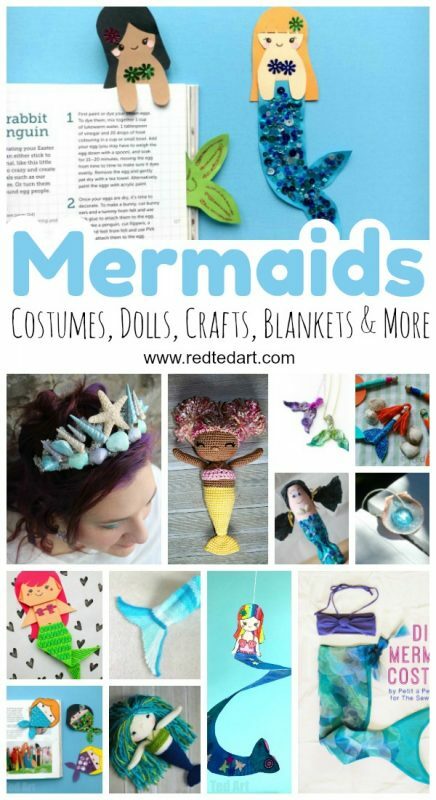 Mermaids are all the rage with my 8yrs old right now.. and she is asking me for more and more Mermaid Crafts all the time. How can I resist?! If you want this to be a Meraid Sequence notebook.. you can easily decorate with sequence instead of glue and pens! Enjoy. Remember you can always glue on a set of sequence and turn this into an adorable Mermaid Sequence Notebook for back to school! 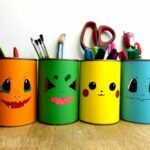 We have shared how to make this particular mini notebook design before – at the time we turned those paper books into POKEMON Books, Minion Notebooks and Nutella Notebooks…. Totally adorable. 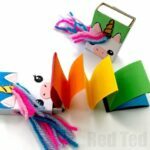 This time, we adapt the pattern slightly, in order to shape it into a super cute paper Mermaid and of course decorate the book differently…. So. Here is the video. (Aalternatively, follow the step by step written instructions for the mermaid notebook below). You will need an A6* sheet of paper to make the cover of your mermaid notebook. You can cut a regular sheet of A4 paper down, but folding it in half one way and then folding it in half the other way and creating 4 equal rectangles. Cut one out in blue or green (or purple and pink.. your call!). Fold your A6 sheet of paper length wise. Then fold in the out edge to about 1/3 of the way down, and repeat on the other side. You should have a long piece of paper with two flaps folded towards the middle. Bring the out edges towards this centre parting but leave 1-2m space free. Repeat for both sides. 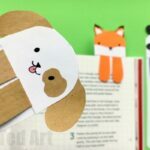 You have now created a book cover with “flaps” that will hold your notebook pages in place. Hold the cover against the side of your A4 sheet of paper and measure the height. Make a mark that is just 2mm shorter. This will allow the page to slip into the book cover later own. Also trim a 1cm piec of the end of your long strip for the same reason. Fold the full thength and cut. 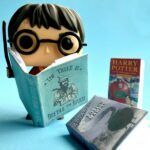 You will need either one of two of these lines per book – depending how thick you want to make it. Cut out one thin line . 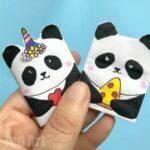 Take your long piece of paper, fold it in half (length wise), fold it again and again. Unfold. 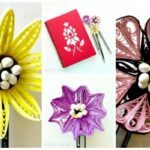 Now use the creased made to concertina your paper. These are your pages. You can insert your pages into your book cover now. 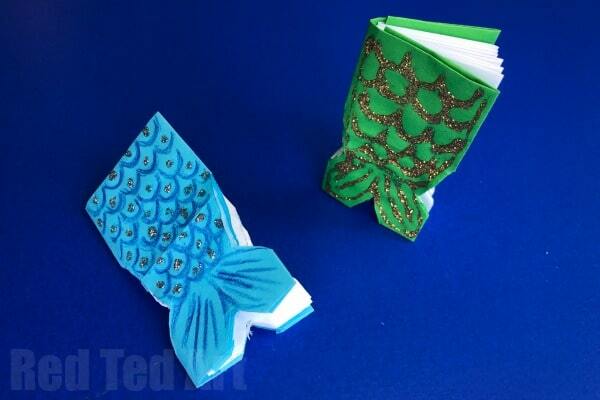 You can now decorate your homemade notebook as a mermaid’s tail!! Woohoo! And your DIY Mermaid Mini Notebooks are finished!!! I do hope you liked them. 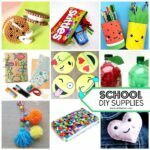 These no glue mini notebooks are super easy and fun to make! Check out all of our DIY Mermaid Craft Ideas! I do hope you enjoy your magical journey uner the sea!